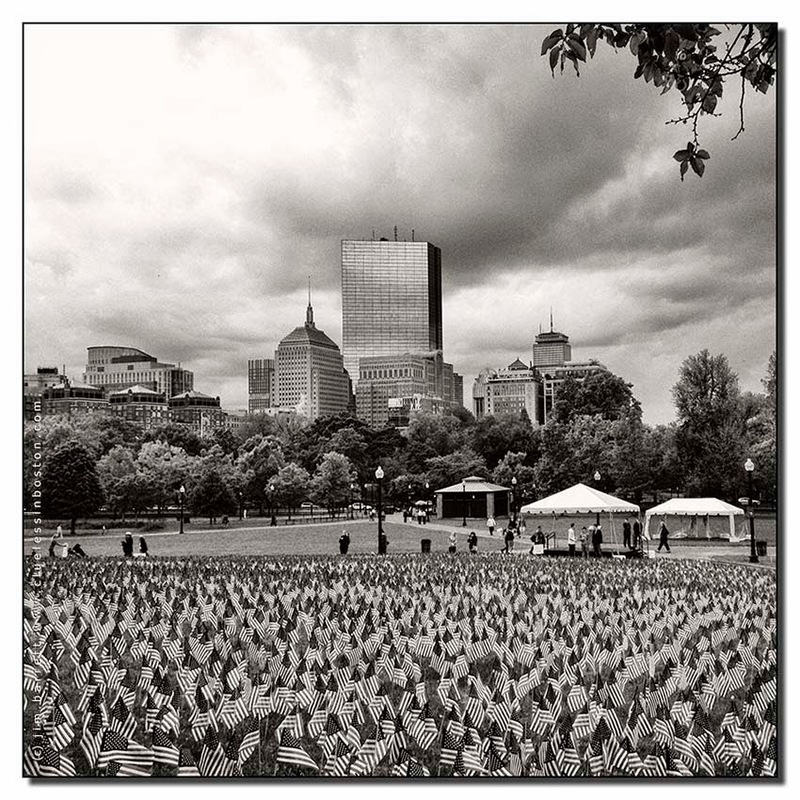 Flags on the Parade Ground of the Boston Common in commemoration of Memorial Day, celebrated on Monday the 26th. You kind of show the rest of us how to do black and white. This is just a great photograph. This is always very impressive to see so much flags . Even more when knowing that each flag means a lost One ..
A wonderful photo...you did it right...lots and interest and things to think on. I saw the b&w thumbnail and clicked on it and wow, I'm glad I did. What a striking photograph. Thank you very much for sharing. It is a fabulous photo, Clueless. Though I love it in B+W, I am trying to imagine it in color. I suspect it would be beautiful either way. Gosh, look at that moody sky. Do you get summer storms? We get hectic summer storms in Johannesburg.